Did you know that IP supports economic growth? According to an April 2012 report released by the U.S. Commerce Department, industries dealing heavily with intellectual property (IP) support 40 million jobs. In fact, IP contributes about 35 percent of the U.S. gross domestic product (GDP)—that’s about $5 trillion dollars! Why is this good news? While the United States is still recovering from the effects of the most recent recession, and our nation is still attempting to combat the now 7.8% unemployment rate, people everywhere are finding creative ways to make money: they are starting their own businesses! Take for instance, the creators (pictured above) of Back 9 Dips, a sauce-y invention local to Florida. After David Mealy lost his job, and with a baby along the way, he and his wife, Nique Mealy, quickly began thinking of ways that could help generate income. The answer? The Mealys created a barbeque catering company, and their customers raved about the Mealy’s dipping sauces. 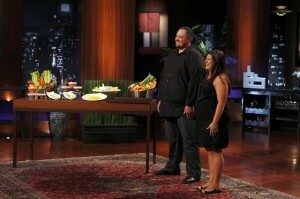 Determined to make the sauces a nationwide hit, the Mealys presented an investment opportunity to the infamous Shark Tank. 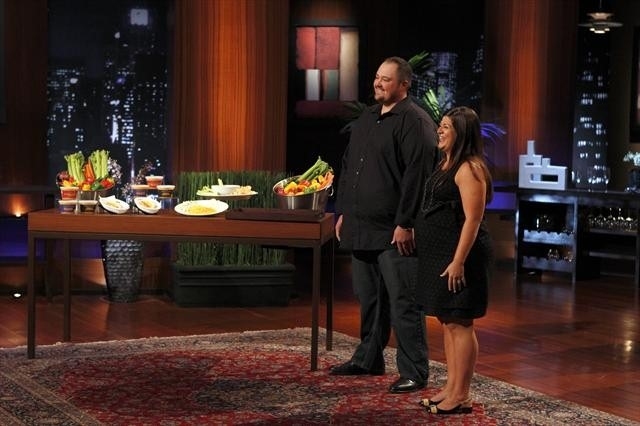 The Shark Tank is a reality TV show where everyday business owners present investment opportunities to five wealthy entrepreneurs (the “Sharks”) in hopes of obtaining much needed funding. From grandma-rental services to artists offering personalized cat drawings, the Shark Tank gives business owners approximately five minutes to “sell their stuff.” Some business owners are fortunate and walk out of the Tank with funding, but most leave empty-handed. Such was nearly the case for Back 9 Dips until two Sharks, Lori Greiner and Robert Herjavec, finally decided to give the Floridians a shot. Now, Back 9 Dips is available in nearly every Publix grocery store and Walgreens in south and central Florida. Yau Law has represented several businesses, no matter how big or small, in various stages of the business development. Sometimes the business idea consists of a recipe, like Coca-Cola and the example used above, Back 9 Dips. Sometimes, the heart of the business is a newly created invention, like the Snuggie. Other times, the business is simply a service, like 1-800-Flowers.com. Whether it’s a trademark, a trade secret, a patent, or copyright protection, Yau Law understands that intellectual property is the wealth of a business! In fact, throughout the Shark Tank series, the first question that the investors often asked business owners is whether the invention has already been patented. Business owners who have patents, or are in the process of having their patents approved, had a better chance with winning an investment from the Shark Tank. Investors like the Sharks can certainly understand the reason: according to the United States Patent and Trademark Office, “the entire U.S. economy relies on some form of IP, because virtually every industry either produces it or uses it.” Ms. Greiner, as an example, has created over 350 products and currently owns 110 patents. Ms. Greiner turned one idea into an international multi-million-dollar enterprise. A lack of IP protection can subject businesses to growth stagnation and infringement vulnerability. Not only does Yau Law advise business owners of their rights to their IP, Yau Law helps businesses grow by protecting the business property and image. Yau Law also fights IP infringement. Additionally, Yau Law can also help business owners establish their own company! To find out how to protect, promote, or even create your own business, whether it’s for a service, invention, or a creative work, give us a call!